Morocco gets its first shot at hosting the African Nations Championship, with the fifth edition of the biennial tournament kicking off in Casablanca on Saturday, January 13, and the hosts facing Mauritania in the opening match. The African Nations Championship was only inaugurated in 2009, and with just four tournaments played to date, a lot of football fans around the world still confuse it with the Africa Cup of Nations, the next edition of which only comes round next year. The confusion is understandable. 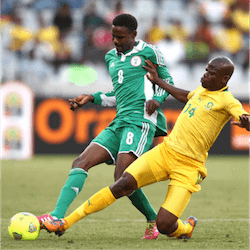 Both tournaments are administered by the Confederation of African Football (Caf), both occur every two years, and both involve national teams from all over the continent. The only difference is that for the Africa Cup of Nations, like the FIFA World Cup, national squads can include any player who qualifies for a side by nationality, no matter where he plays his club football. In contrast, national teams for the African Nations Championship may only include players who play their club football at home in domestic leagues. It is, in effect, an African domestic football fan’s African football championship, which may explain why it’s more popular at home than abroad, and the Cup of Nations gets more international attention. Nevertheless, there is still a wealth of talent and plenty of evenly matched strong teams to provide the action, and it brings lots of interesting online betting options. To distinguish it from the Cup of Nations, Africans generally refer to the African Nations Championship by the abbreviation CHAN, which helps keep things clear. The four prior CHAN tournaments were held in Ivory Coast in 2009, Sudan in 2011, South Africa in 2014 and Rwanda in 2016. The Democratic Republic of Congo have been champions twice, beating Ghana 2-0 in the inaugural final and Mali 3-0 in 2016. Tunisia beat Angola 3-0 to win in 2011, and Ghana were unlucky again in 2014, losing 4-3 on penalties after holding Libya to a goalless draw at full time. For the 2018 African Nations Championship, hosts Morocco are the fancied top seeds, but Libya, Ivory Coast, Angola, Nigeria, Guinea, Cameroon and Zambia could all put their hands up. 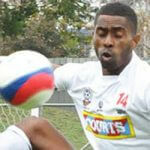 Samuela Drudru, a forward for Laukota, has received a suspension from seven upcoming matches due to racial slur, in this case, Drudru referring to match officials as, “white people.” The footballer was send off the field by Campbell-Kirk Waugh, a New Zealand referee, during an OFC Champions League semi final …. 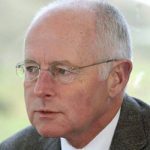 Bill MacGowan, who was the former New Zealand Football CEO has passed away. 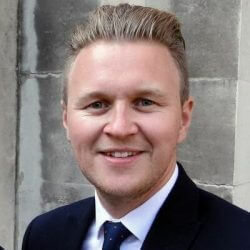 Along with his duties as a sporting administrator for New Zealand Football, MacGowan also held the top spot for the Warriors and New Zealand Golf. Before he stepped down from illness last July, he was the head …. 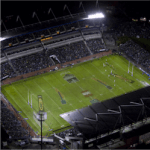 Home Of The Warriors To Get New Title Partner Mt Smart Stadium, the famed home of the Warriors, could be in a for a new name soon. Mt Smart has been sans a sponsorship naming partner since 2006, which was the last year that it was known as the Ericsson …. 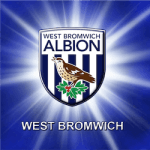 West Brom Hit by Racism Allegation Barely ten days before they are due to face Southampton in the FA Cup Round of 16, English football club West Bromwich Albion got embroiled in a racism scandal that could see them lose key forward Jay Rodriguez at a crucial stage. On Thursday, …. 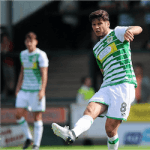 Fourth Round: FA Cup The fourth round of the FA Cup is around the corner with League Two Yeovil Town getting ready to host Manchester United. Manchester United will face the Glovers for only the second time in four seasons, having beaten them 2-0 in round 3 back in 2015. ….